On the Meet-up today, I am pleased to introduce John Smith, who blogs on The Lean Office. John is fairly new to the Lean blogosphere. The mission of The Lean Office blog is to provide a place to share Lean Six Sigma examples in the office, and share thoughts and ideas of implementation of Lean Six Sigma in the office or other places your journey may take you. 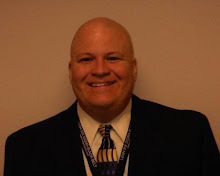 My name is John C Smith and I am a Lean Six Sigma Master Black Belt for the U.S. Army. I lead a few enterprise level projects, mentor Green Belt and Black Belt candidates, and mentor Process Owners to use Lean Thinking in their organizations. My first exposure to process improvement was when I served in United States Marine Corps artillery and change-over improvement was our focus. In 1997 a member of the Alabama Technology Network spoke at a local Society of Manufacturing Engineers (SME) chapter meeting in Huntsville, AL. They brought the Kanban simulation and it blew me away. I then realized that “automate everything” was not the answer. I then took Introduction to Lean as an on-line class through SME. In 2003 when I was at Boeing I was trained to be an Accelerated Improvement Workshop Facilitator and then a 3P Facilitator in 2005. I have been working with teams in a pure transactional environment for the last three years. We all know “process” is the same whether you are drilling holes, installing systems, or creating contract documents. I am on a team that teaches the Introduction to Lean Six Sigma to all employees and the students ask really good questions and want to see examples of flow improvement in their offices. Armed with this knowledge and experience I began writing about Lean Transformation in the information flow based on the model from the book Lean Thinking to try to reach people working in offices. Lean to me is a way we “do” business. It means the product flows through the system without stopping until it reaches the customer, we maintain a learning environment, and we help our employees grow where they want. It is not tweaking the edges of Batch & Queue. The biggest myth I have seen is that Lean is a program. It is something we do extra, along with creating, moving, reviewing and reworking documents, more moving and reviewing and reworking ad nauseum. Improvements in the product flow must be targeted to what is important to the customer, the boss, and the organization or there will never be buy-in with the actual people doing actual work. My current passion is reaching young office workers with this “new” way of thinking about work. Today’s information flows at the speed light across many different economies, but our ways of responding are too slow and opportunities are missed. Waiting for, Reviewing and Reworking of information contains the highest levels of waste. So I teach and show what value is to make the information flow; 1) customer focused, 2) each activity transforms the product closer to the customer’s needs, and 3) is executed right the first time. At the end of the day, Flow is King.